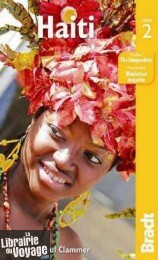 A new edition of the only standalone guidebook on Haiti available, fully updated and with expanded content reflecting Haiti's recent growth in tourism, and packed with practical information covering everything from accommodation, eateries and travel routes to wildlife and 'Vodou'. A comprehensive section on conservation and natural history and insightful information on Haiti's rich artistic, architectural and musical heritage ensure nature lovers and cultural enthusiasts are well catered for. Paul Clammer discusses the merits of Haitian rum, how to catch a Port-au-Prince taptap (bus) and Graham Greene's connection with the famous Hotel Oloffson. 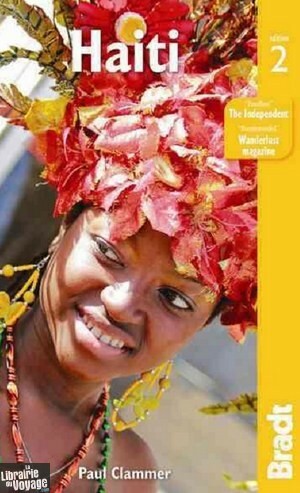 This new edition includes even more information on living in Haiti, more festivals - from local fêtes to big celebrations - and coverage of new tourism developments at the Citadelle Henry (the largest fortress in the Americas and Haiti's first UNESCO World Heritage site). Also provided are details of new museums either under refurbishment or soon to open. Sharing the island of Hispaniola with the Dominican Republic, Haiti is culturally the most African of Caribbean countries, and one that is largely unknown to visitors, except through popular clichés of aid dependency and Vodou culture. An early pioneer of Caribbean tourism, since the earthquake of 2010 it has been slowly repositioning itself as an exciting new travel destination. Visitors will find historical sites to explore, hidden beaches, and a proud people rebuilding their country and ready to welcome visitors once more. Le guide le plus complet à notre connaissance sur Haiti. Mais en anglais.